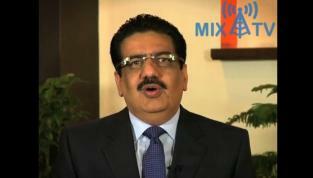 Vineet Nayar: Where is the real value in your organization? HCL Technologies CEO Vineet Nayar describes the company's "employees first, customers second" principle—and the innovation journey it launched. Thank you for providing your organization's success story of valuing your employees first. Another success story is that of Southwest Airlines. Even during the toughest of economic times, when other airlines were folding or merging, they were still going strong. I truly think that it's because their employees are genuinely happy. Their employees give their very best service to the customers and always with a big smile. It shows that it's not because they have to but because they want to. As a result, they have happier, more loyal customers who share their good experience with others, leading to more customers. With such great success stories; it just makes me wonder, what's holding other orgnaizations back from adopting this strategy? Vineet Nayar: What sets you apart: the What or the How? Raj Sisodia: How are profits like happiness? Tim O’Reilly: Are you a visionary or an accountant? Or both? Charlene Li: Are your leaders open? Julian Birkinshaw: Managers - Check your assumptions! Tim O’Reilly: Feed the ecosystem or build a monoculture? Joanna Barsh: What do leaders get wrong? Seth Godin: How do you change the system when you don't have the power? Dov Seidman: Are you too good to fail?